When you’re studying after a long day, it’s tempting to reach for the chips or cookies. After all, balancing work, school and family is no easy feat, so you may be tempted to reward yourself with a chocolate bar. Snacking on sugary or salty treats can give you a temporary rush of energy, but soon after may come the crash, leaving you feeling icky and unmotivated. In our Study Snacks series, we’re highlighting recipes that can help power you through your homework. 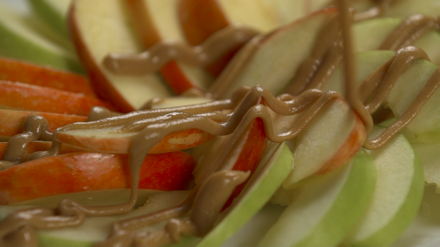 Our first offering, Peanut Butter Apple Nachos, should work well for anyone combating a sweet tooth. 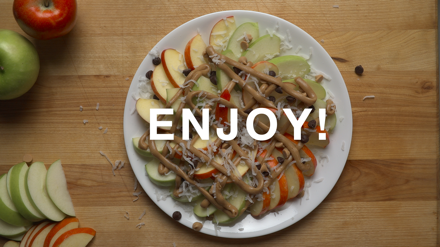 A snack the whole family can make and enjoy together, these nachos combine the crispy crunch of fresh apples, the gooey magic of honey and peanut butter, and the wholesome sweetness of shredded coconut. Chocolate and peanut butter chips are added for extra morsels of flavor. Watch the video below to master this easy recipe! 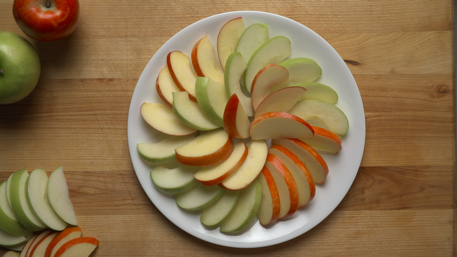 Slice apples thinly and place on platter. 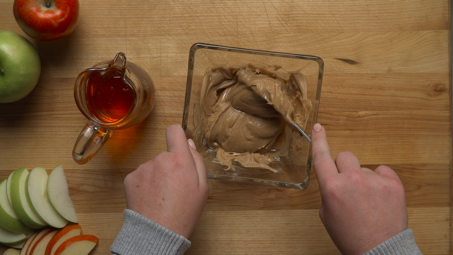 Mix peanut butter and honey to a drizzle-like consistency and microwave for a few seconds. Add honey as needed. Drizzle peanut butter/honey mixture on top of apples. 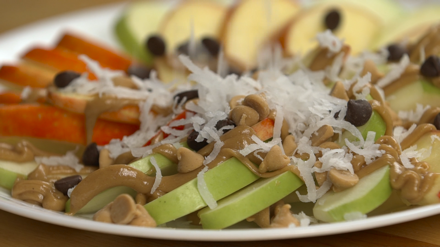 Add peanut butter chips, chocolate chips and shredded coconut (along with any other toppings). Suggested additional toppings: raisins, butterscotch chips, hazelnut chocolate spread, white chocolate, blueberries, strawberries, sliced almonds, granola, Greek yogurt.